This Spring 2018, the European Studies Center, a Jean Monnet European Union Center of Excellence at the University of Pittsburgh is organizing a virtual roundtable series on "Conversations on Europe". 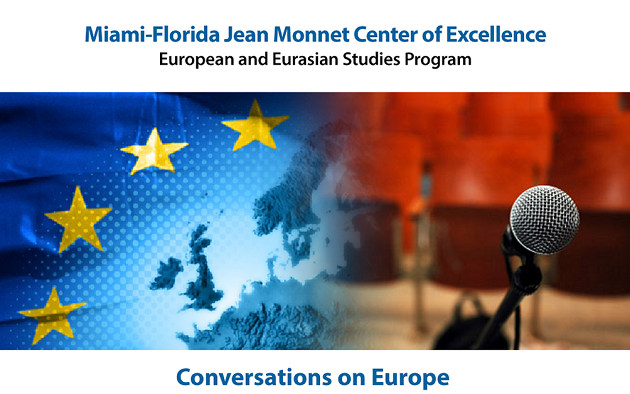 The Miami-Florida Jean Monnet Center of Excellence at FIU, along with other European Union Centers of Excellence from the U.S. network, will be participating. "Wind, Water, Sun: Clean Energy in Europe"
"European Cities in the 21st Century"
"May 1968: Legacies of Protest in France"